L-Tron is pleased to announce two new promotions for Law Enforcement Officers. L-Tron is offering an instant trade-in credit of $25 off each 4910LR DL Reader for each old DL Reader model traded-in. Record and email a 30 second to 1 minute video telling us why you like the 4910LR or show how you use it. We will send you a FREE Surefire G2X LE tactical flashlight. Fun and creative videos are encouraged! Questions? Call us at 800-830-9523. 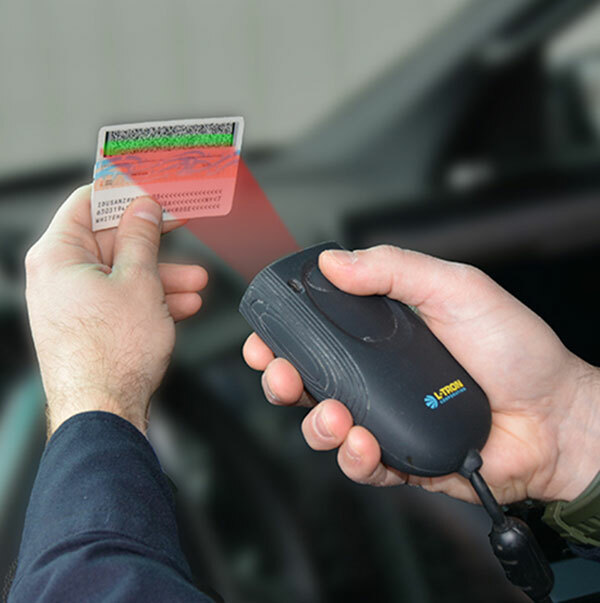 The 4910LR DL Reader captures barcode information on driver’s licenses and registrations so officers can easily populate form fields and reports in seconds. Purpose-built for electronic ticketing (eCitation) and incident & accident reporting, the 4910LR allows officers to drastically improve efficiency and accuracy. Easily stored in squad cars; familiar mic-style form factor. Fast scanning in all lighting conditions (including the dark!). Read a driver’s license barcode instantly with a push of a button. Officers spend less time on the side of the road and more time on patrol. The 4910LR is certified by over 40 independent software vendors and can be configured to work with public e-citation and accident reporting software applications, including TraCS, digiTICKET, MOVE, eCWS, KYOPS, SECTOR, eTicket and E-TIX. 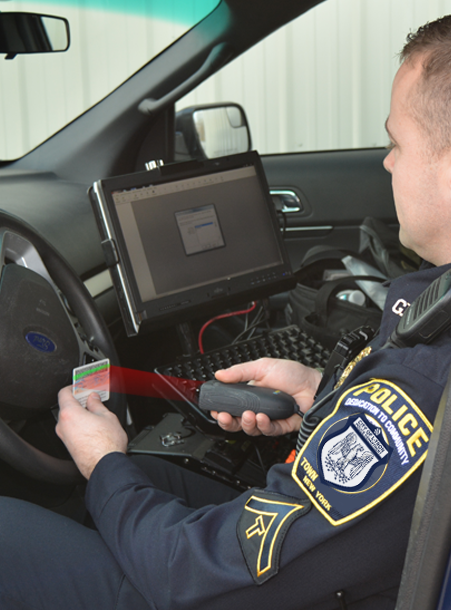 Specializing in hardware for today’s squad car, L-Tron’s solutions have been implemented in thousands of municipalities across 48 states over the last 17 years.